We all search for that great pen store. 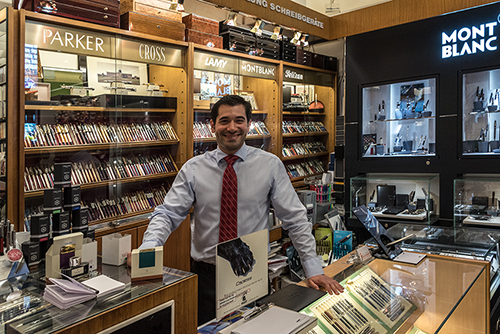 That is the store that has a good selection of pens, creates a environment to encourages trying various pens before you buy, and has staff that know it may be a few visits before you are quite sure of the right pen. 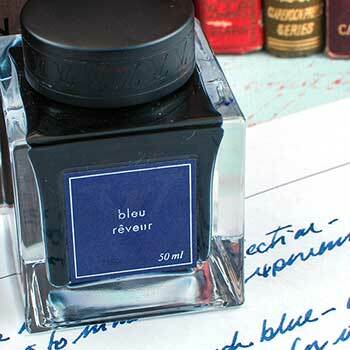 Part of the experience of writing with a fine pen is the actual purchase because the right pen is the one that fitst your hand, has a nib appropriate for your writing and is within an acceptable price range. On-line sales are a reality of life today. It can be great to snag a great deal off an on line source. But I prefer the experience of going into a pen store, trying out a number of pens, trying different nibs (they all write a little differently) and then making my selection. There is usually that great closing: "What colour ink would you like with your pen?" I enjoy visiting pen stores on our travels. We travel extensively in France and Italy. We have traveled so much we even do travel consulting (www.marcustravel.com) and have put together great trips for folks. In May & June 2017 I visited stores in Prague, Vienna, and now, I say, of course Plume et Bille in Paris. Addio vecchio amico, OMAS. I have admired OMAS fountain pens for many years. 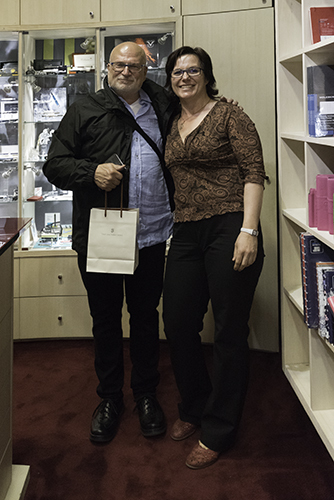 I was so pleased when I had the opportunity to meet with the OMAS leaders and tour their factory in Bologna. The Art Italiana, that I received from the General Manager holds a special place in my collection. Over the years I have acquired quite a few OMAS fountains pens. They are some of the most stylish and best writing pens I have. In fact, just this week I replied to a questions as what pen would recommend as a special pen for a gift. I listed the OMAS Art Italianna Milord Arco as one of the most beautiful and well made pens I could recommend. As a gift, it will never be forgotten. Shortly after my visit, the news of the sale of OMAS by the LHVM Group to a Chinese company broke. I communicated with the folks at OMAS, they felt this was going to be an opportunity to gain access to the Asian market. But this year the Chinese company announced it would no longer hold OMAS. It was thought the company would be purchased, but this now it has been announced that OMAS will not be sold, but simply closed. A terrible shame. The history of the company is lost. 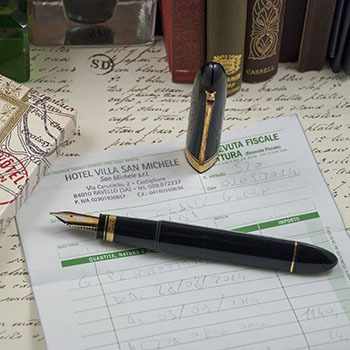 We will not have future pens by OMAS with the Italian style and craftsmanship available. By owning the name there could be a Chinese line of OMAS pens produced, but I can not seem those pens coming close to what was produced in Bologna. 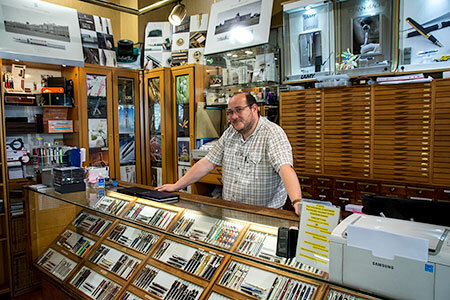 A visit with Novelli Pen in Rome. On our 2015 we made a point of stopping by Palais du Stylo and visiting with Stephane. 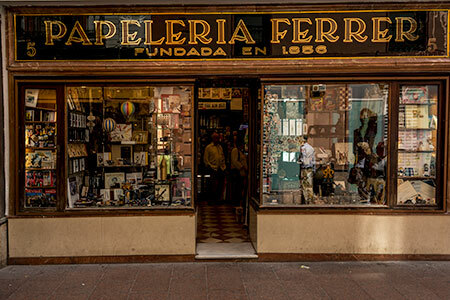 In Seville I found a very good pen store, Papeleria Ferrer in Seville. Lucia Ferrer, one of the 5th generation family members running the store was extremly helpful. I still have my Louis Vuitton ink, but it looks like it is time to return to Paris!